Few SUVs manage to capture the excitement and control of driving a sedan better than the Ford Edge. 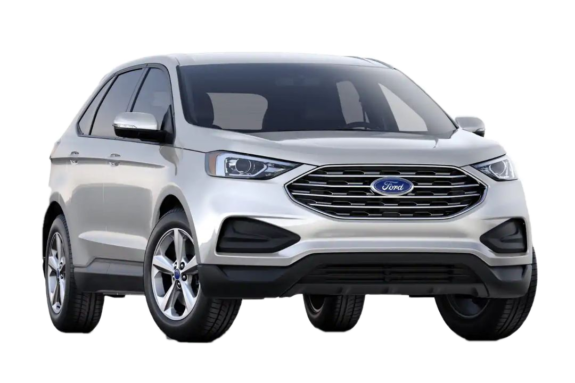 Despite Ford’s initiative to shift focus away from smaller vehicles, it doesn’t mean this incredible vehicle has lost any of its ‘Edge.’ In fact, this model year makes the strongest argument that the Ford Edge is the best vehicle to drive to-date. It handles and performs with the capability of a sedan, and has all the impressive utility of a spacious SUV. Along with its impressive starting price of just $35,249, it’ll make you wonder if we even miss having sedans in the lineup. 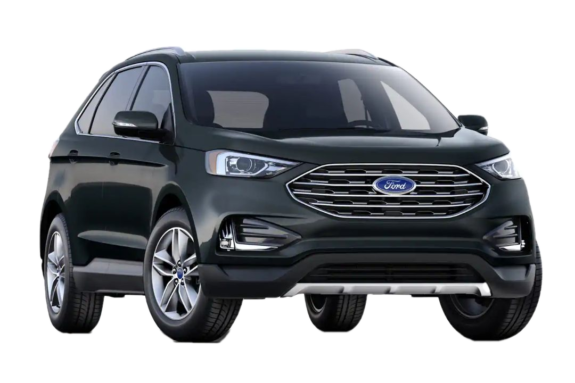 Take a look at what the Ford Edge has to offer, here at Westview Ford—British Columbia’s favourite small-town Ford dealer! 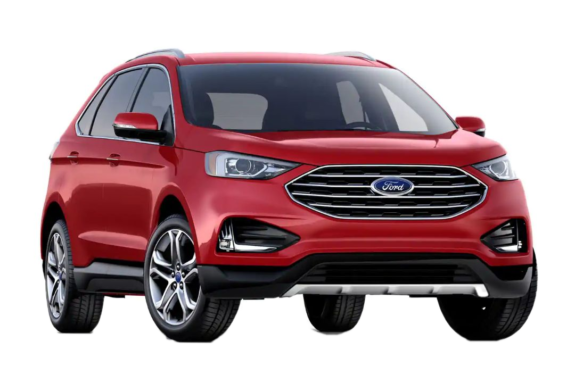 This model year, the Ford Edge receives a welcome refresh throughout the exterior, as well as with its standard features. For starters, the 2019 Edge receives a newly-restyled body, complete with a new front grille, hood, wheels, LED lamps, and more! Meanwhile, the 2019 Edge is also the first of many Ford vehicles to feature the Ford Co-Pilot 360™ system standard on every model. With it, you get almost every driver assist technology you can imagine, including blind-spot monitoring, lane keeping assist, and others. 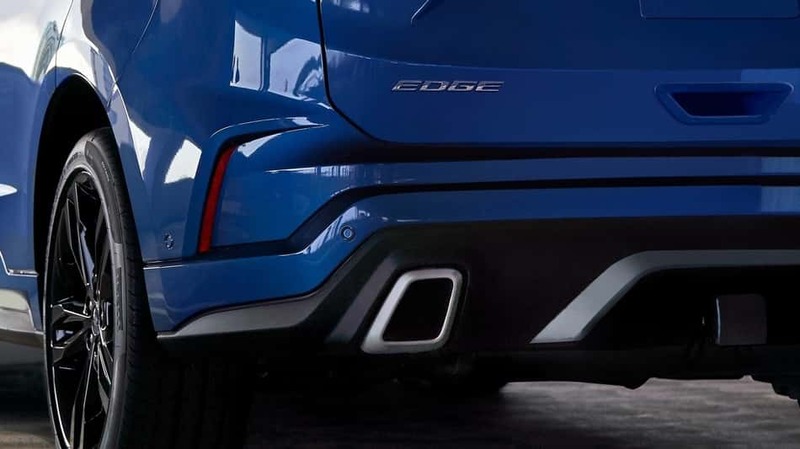 If you’re looking for a bit more excitement in your drive, prepare yourself for the all-new Edge ST, bringing you the power of the Ford Performance lineup with a twin-turbocharged 2.7L EcoBoost® engine giving up to 335-hp. In addition to its latest changes and updates, the Ford Edge still remains a vehicle that’s a cut-above the rest. How so? For one, the standard Edge model still performs as impressively as ever, packed with the Twin-Scroll 2.0L EcoBoost® Engine and Intelligent All-Wheel Drive (AWD) to battle any of the elements that come your way. 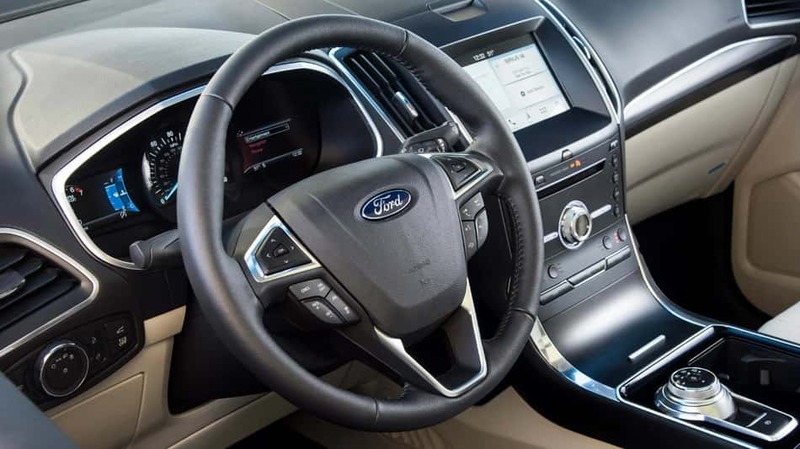 As well, you still have the option to add the advanced SYNC® 3 system to your Ford Edge, providing a wide array of multimedia streaming and technologies to make your driving experience better than you could have ever imagined. Starting at $36,499, the Edge SEL adds a fair amount of style to the exterior, including 18-Inch Split-Spoke Aluminum Painted Sparkle Silver Wheels, for a more pristine look. Starting at $41,899, the Edge Titanium gives you more premium features, such as the B&O Sound System by Bang & Olufsen, as well as a 10-Way Power Front Passenger Seat. 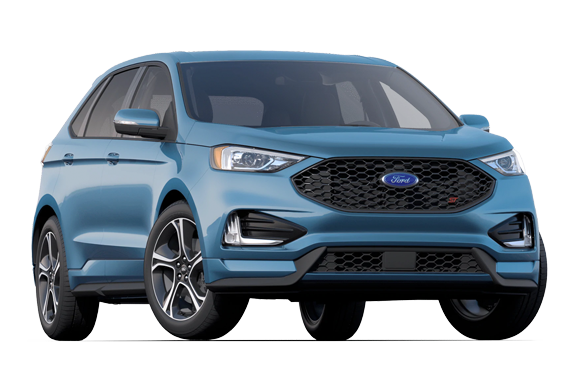 Starting at $47,599, the Edge ST gives you the best performance power possible on the model, with the 335-horsepowered twin-turbocharged 2.7L EcoBoost® engine.